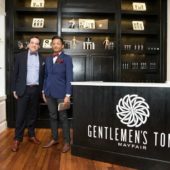 Gentlemen’s Tonic is an international and award-winning luxury spa, grooming and hair concept proudly founded in the heart of Mayfair, London in 2004. Since their launch, they have become synonymous with style and luxury and delivering a high quality service to a worldly and discerning client base. Our philosophy is simple- we endeavour to provide the perfect antidote to the stresses and strains of modern life, providing treatments and products that revive, invigorate and promote wellbeing. Highly trained, friendly and professional staff deliver a truly unique experience in an environment that is both private and personal. 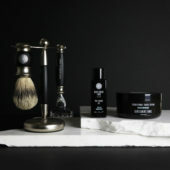 Marrying traditional services with modern techniques, Gentlemen’s Tonic delivers bespoke treatments that meet their client’s very specific needs. 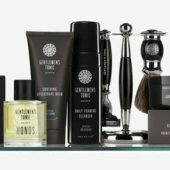 Gentlemen’s Tonic is also a pioneer in both retail and professional products offering an award-winning selection of grooming products as well as the most scientifically advanced anti-ageing cosmeceutical range ever developed. 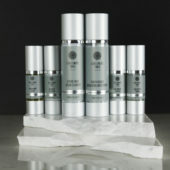 Their professional products are already used by many of the world’s most recognised and luxurious five-star and boutique hotels and spas while both its Babassu & Bergamot line as well as Advanced Derma-Care range is also sold in the most prestigious apothecaries, perfumeries and department stores globally, all specifically developed and formulated solely with men’s skin in mind. The Spa Warehouse is proud to be the only agent for Gentlemen’s Tonic in South Africa and Africa.